RR by Webbie: The Church Brew Works | Buoy. Last RR I highlighted a great new restaurant in Pittsburgh called Grit and Grace. Check it out here if you haven’t seen it, yet. 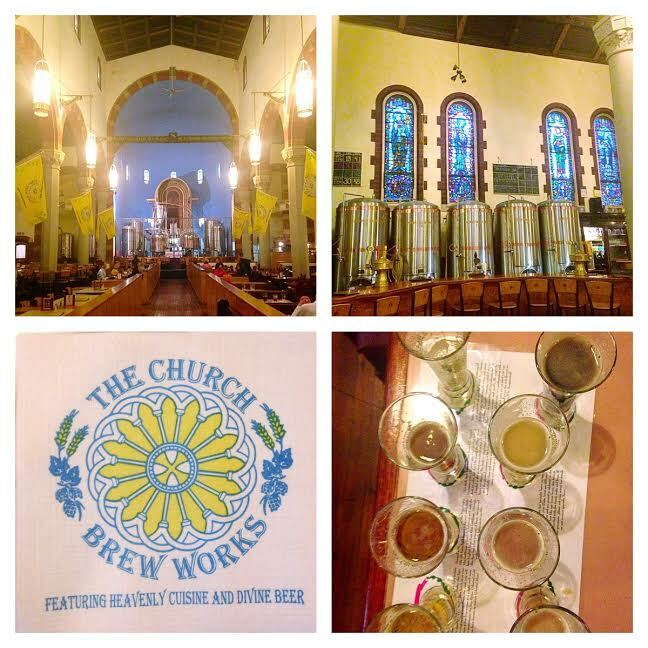 This week I am writing about Pittsburgh again, but this time on a city favorite that has earned its keep over the last few years, the Church Brew Works, located on Liberty Ave. This brewpub not only serves craft brews and a diverse menu but also preserves the historic architecture and back story of the former St. John the Baptist Church. That’s worth raising a glass to. In addition to the beer, Church Brew Works also has a diverse menu that gives you plenty of options both at lunch and at dinner. There is also a pub menu that is always available as well. Check it out. One important part of the menu that I want to highlight is the number of pierogi dishes that CBW serves. It has a traditional pierogi plate, a daily “untraditional” special, and perhaps my favorite, the pierogi pizza. Of course you can add bacon to the pierogi pizza, or you can have it both ways in one sitting by doing half bacon or …you can just get two pizzas – boom, that’s what I’m talking about! By the way, the restaurant doesn’t just represent the pierogi on the plate either; it even has a Pierogi Martini – say what? 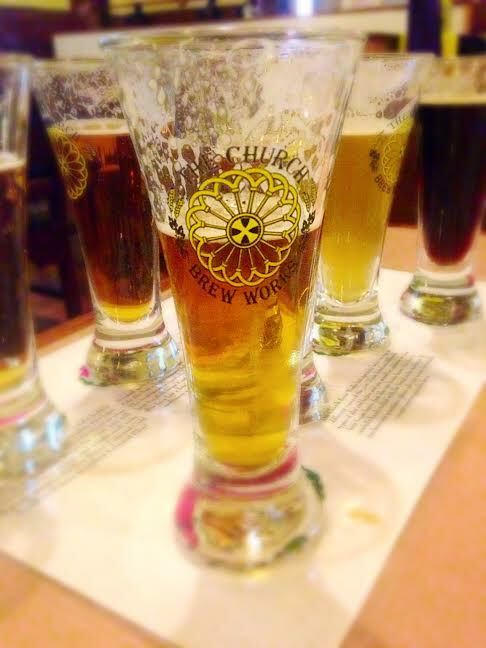 Try the beer flight if you haven’t had any of the Church Brew Works’ beer before. You can try all of them in one flight, including the specialty/seasonals, and you’ll feel it too.